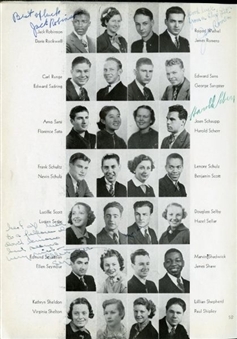 Long before Jackie Robinson broke down the Major League Baseball racial barrier, the Hall of Fame second baseman was making his athletic prowess known at John Muir Technical High School in Pasadena, Calif. Robinson was a four-sport star for the Terriers, competing in football, basketball, baseball and track. 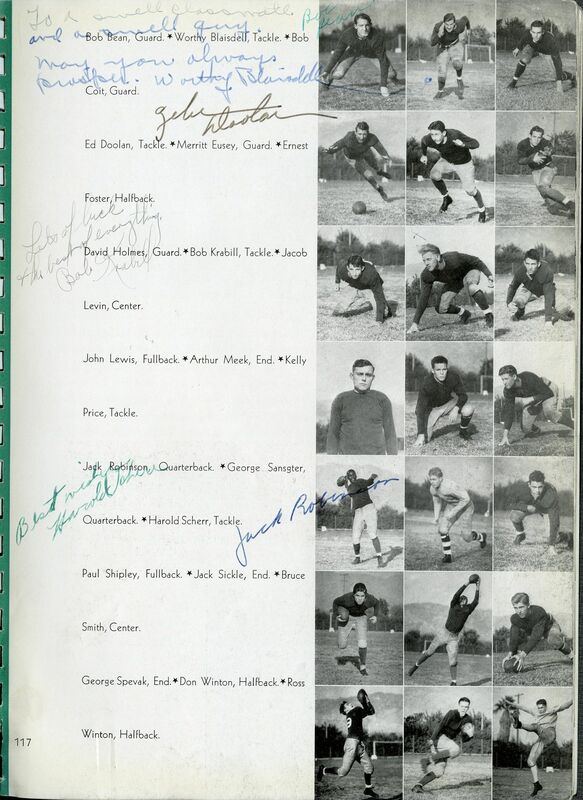 Chances are you won’t come across too many items as rare as this 1937 John Muir yearbook signed twice by Robinson --- once on his class picture and again on the quarterback’s football picture. 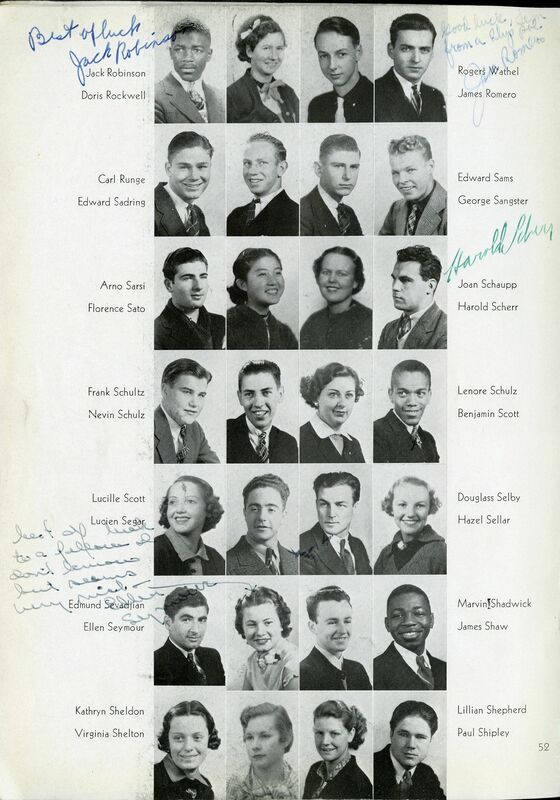 Robinson signed both pictures in blue ink, with a “Best of luck” notation accompanying his class photo. 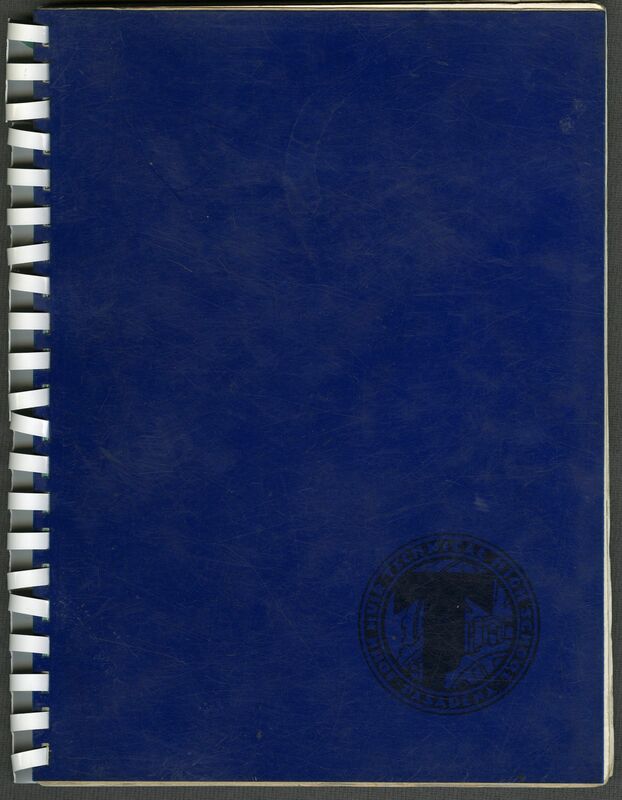 The 77-year-old, 154-page yearbook shows obvious signs of wear, but the majority is in excellent shape, including the two pages where Robinsons’ signature appears. 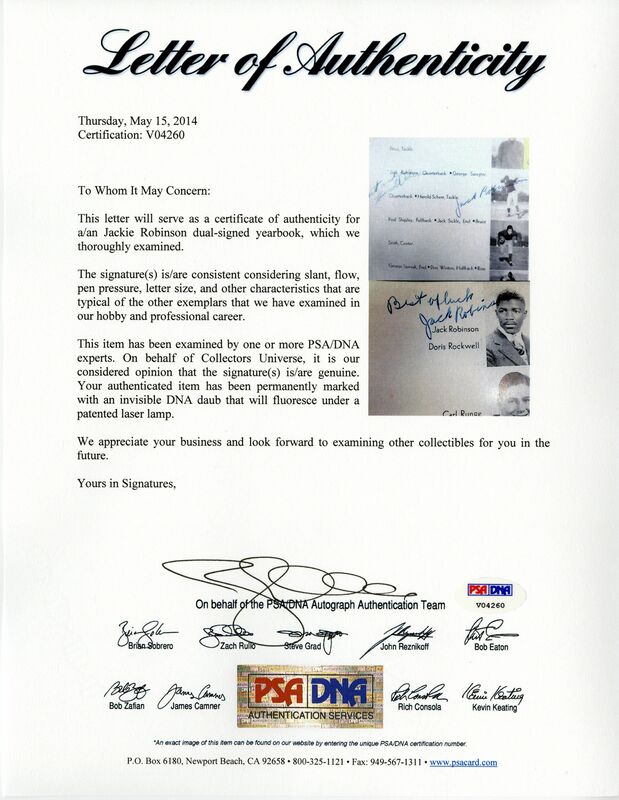 The signed spiral-ring yearbook comes with a PSA LOA.